One thing we all do differently is sleep. Some folks remain in the same position from the time they fall asleep until the time they wake up in the morning. And some sleepers explore the full gamut of slumber styles during the course of their 40 winks. In an attempt to accommodate everybody, Casper built a pillow designed to meet the needs of every sleeper (no matter which position they roll into). Now, some of you might already be familiar with the cozy foam inside Casper’s mattresses, but the designers took a different approach with the fill of this pillow. Of course, the only way to really know what this pillow is all about it to test it for yourself! So, I’m going to get up close and personal with this sleep accessory so we can discover its full pillow-potential. WHAT’S THE CASPER PILLOW MADE OF? The Casper pillow employs a unique pillow-in-a-pillow design. There’s an inner pillow or “middle insert” that gets tucked away and zipped up inside an outer pillow. 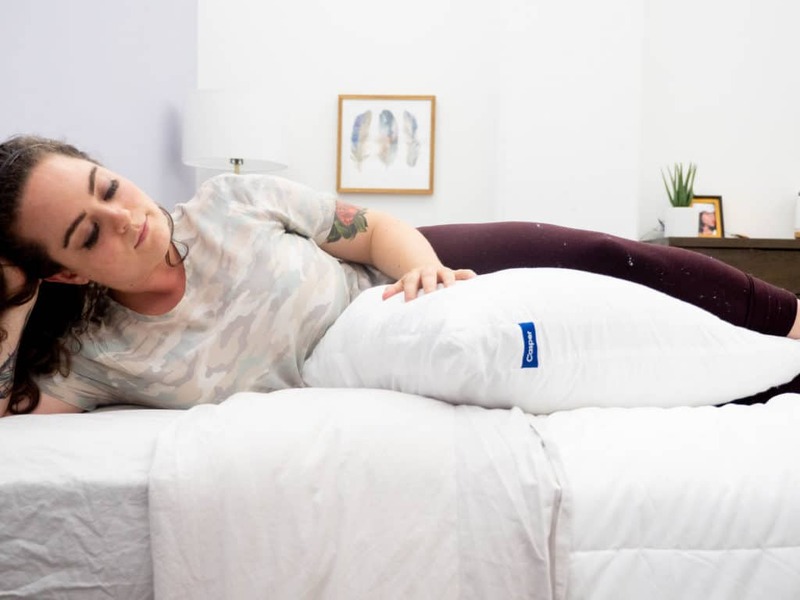 It also features a two inch gusset which the folks at Casper refer to as “the backbone” of the pillow, as it helps it to maintain a consistent loft. This dual-layer design was intended to offer even pressure relief, and a balance between plush and supportive. 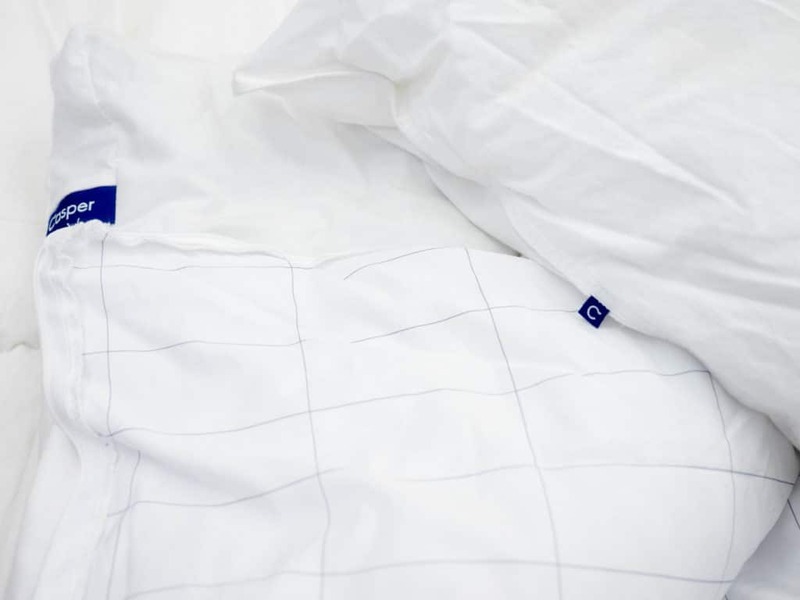 The cover fabric of the outer layer of the pillow is made from 100% pima cotton with a percale weave. 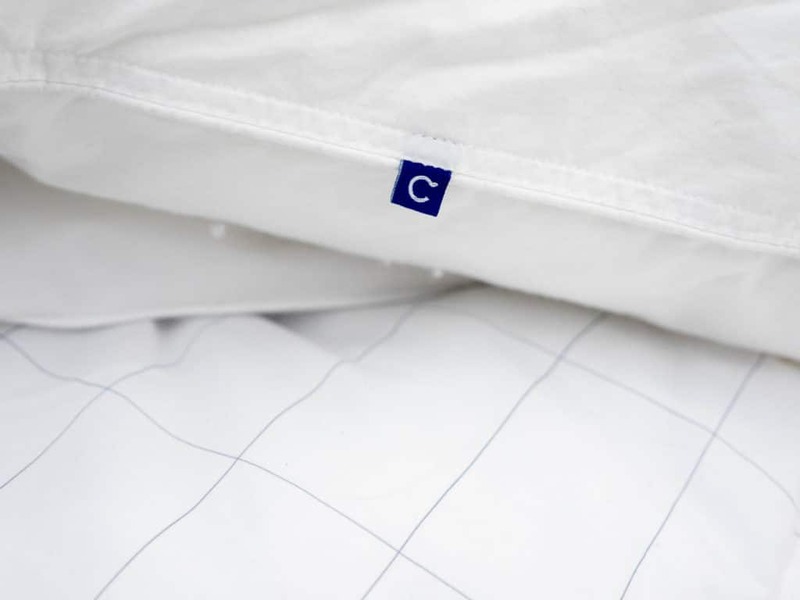 The percale weave is designed to enhance the breathability of the pillow, allowing air to flow freely from the fill through the cover fabric. But what is the pillow filled with? Well, the outer layer is filled with low-friction silky fibers which give the surface of the pillow a silken, cushy feel. It’s got a down-like quality and each fiber cluster is individually blown into the cover, making it more resistant to clumping. The outer pillow is designed to offer a softer, fluffy place to lay your head. The inner pillow, on the other hand, is meant to be more supportive. 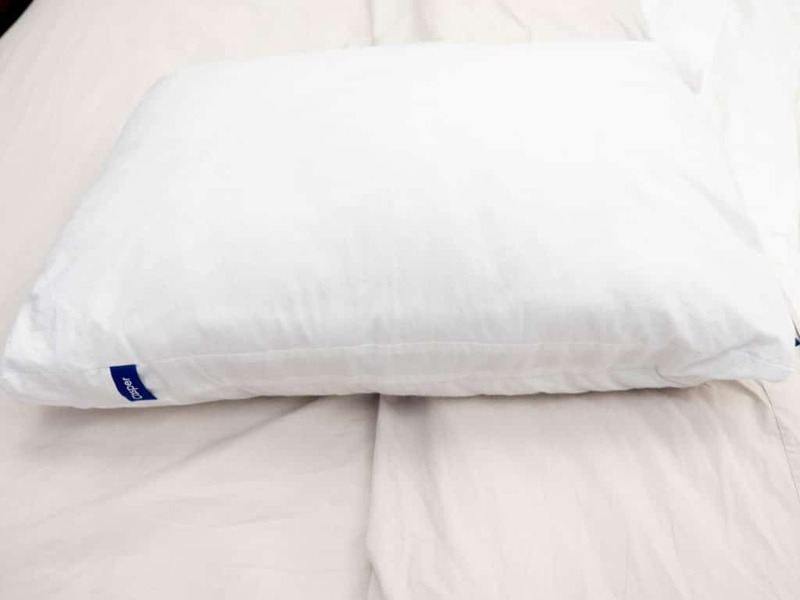 Like the outer layer, the inner pillow is filled with the polyester based low-friction silky fibers (nearly 1 billion of them) but it offers a firmer, more compact design to complement the softer, longer fibers of the outer layer. The lining of the inner pillow is made from polyester which feels smooth to the touch, and enhances the overall breathability of the pillow as well. A zipper spans two sides of the pillow, so you can easily remove it when it’s time to give your pillow a wash (or if you want to reach in and give your inner pillow a hearty fluff). Did You Know? : When Hurricane Harvey struck the U.S. in 2017, the folks at Casper gave pillows, sheets, mattresses (for humans and dogs), and monetary donations to help those struggling with the storm’s aftermath. HOW DOES THE CASPER PILLOW FEEL? While Casper does not assign a particular firmness rating to this pillow, it’s built to offer a balance of soft feel and firmer support. 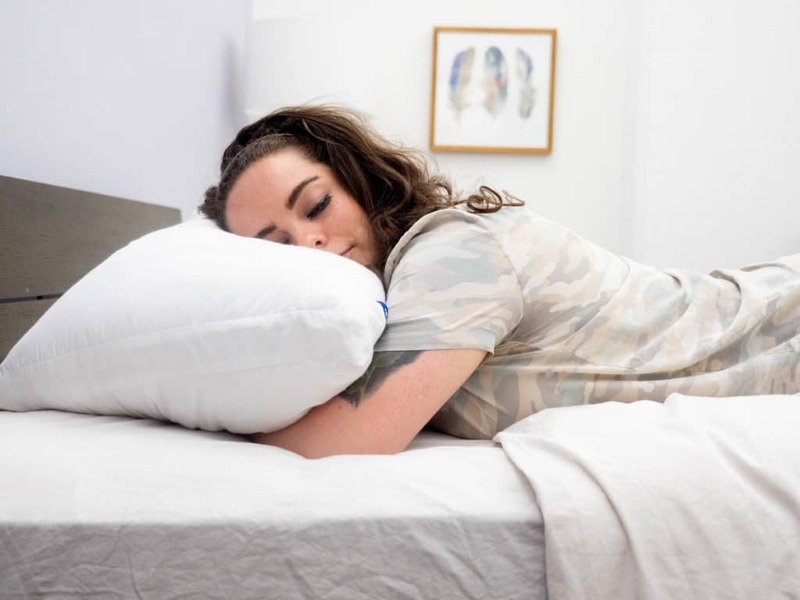 The outer pillow is designed to be cushier with more of a fluffy feel, and the inner pillow has a more densely supportive nature. This way, the pillows are layered in a way that harmonizes both the malleability and the resilience of the pillow. Pressing into the Casper pillow, you can feel a fairly deep sink into the material. The low-friction silky fibers are meant to cradle your head and neck, but not in the conforming way that memory foam does. It feels more like the silky fibers inside are fluffing up around you, helping you to maintain healthy posture. The Casper pillow offers a relatively quick response to pressure, and in my opinion, a medium level of support. The outer pillow does add a bit of loft and feathery feel, which can be great for back and side sleepers who like a little extra propped-up support. However, if you’re a stomach sleeper who needs a flatter, softer pillow, the loft of the Casper pillow could potentially be too high. However, you can easily remove the inner pillow and just sleep on that one! As a back and side sleeper, I felt that the lofty build of the dual-layer design was better for keeping my spine in alignment (especially in the lateral position). Something worth noting is that the pillow does make a bit of noise when you press into and squeeze it. The cotton itself is noiseless, but the polyester lining of the inner pillow definitely makes a crinkly noise as you roll around with it. So, if you’re a combo sleeper or someone who changes pillow positions frequently throughout the night, that’s something to keep in mind. This is definitely a very fluffable pillow, and the more you fluff it, the loftier it gets. The two inch gusset that spans the perimeter of the pillow served to fortify the pillow’s shape and ensure an evenly distributed loft. 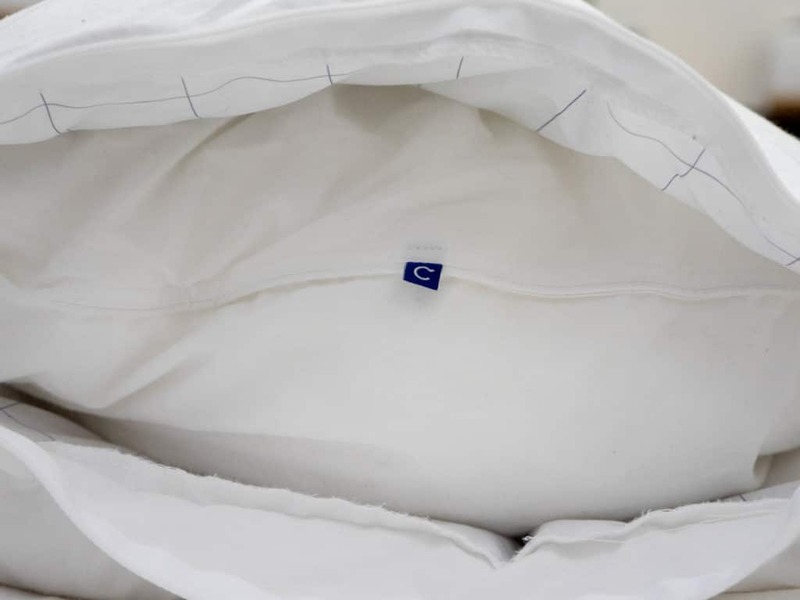 According to the folks at Casper, the gusset also helps to support the sleeper’s neck, allowing for healthy posture alignment. Fun Fact: Sure you can revel in Casper products from the comfort of your own home. But did you know that Casper also opened a nap lounge in NYC called The Dreamery? Folks can just walk in and get some quick shut-eye in their own, personal Casper nap-pods! HOW DID YOU LIKE THE CASPER PILLOW, SARAH? I was pretty intrigued by this pillow-in-a-pillow design, so I felt excited to test it out. 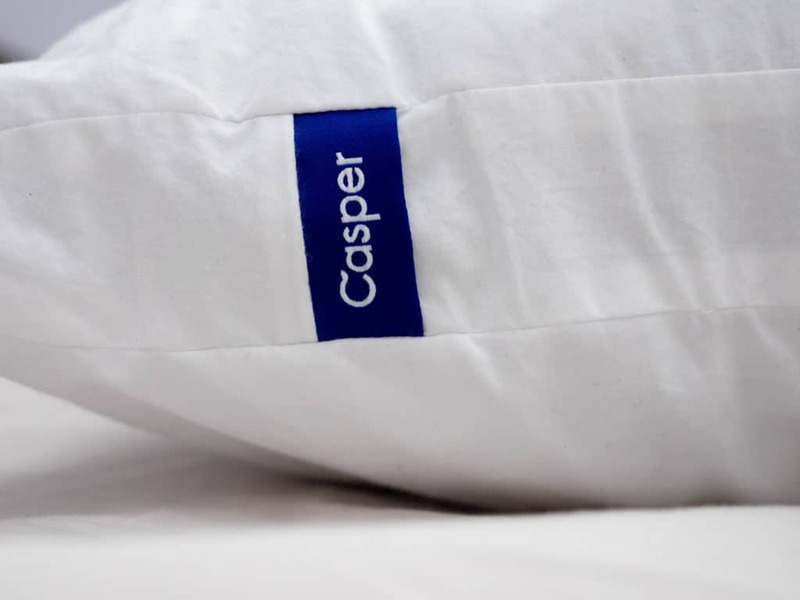 The folks at Casper say it’s an all-position pillow crafted to meet the needs of every style of sleeper but, as a New Yorker, I maintained some skepticism. So, I had no choice but to test it in every position and see for myself! So, before I even began my journey sleeping with the Casper pillow, I noted how soft and cool the cover fabric felt. It’s got that cozy-cotton feel that I love to rub my face into, and it’s also noticeably breathable. As my hands and face pressed in, I could feel the air flow out. Once I finished squeezing and rubbing my hands all over the pillow, I gave it some quick enlivening fluffs and settled into the supine position. As I fell back into the pillow, I could instantly feel the down-like outer layer puff up around the sides of my head, cradling it in a softly comforting way. I did feel as though the pillow was conforming to my head and neck, but in a much more feathery way than foam does. While there are no feathers in the Casper pillow, I would say its feel is closer to down than foam. It’s very fluffable and the fill material has almost a liquid, silken quality to it. As I rolled around in the supine position, I could definitely feel the pillow adapting to my body and sleep style. Not to mention, the gusset seemed to be doing a good job of keeping the loft balanced and the fill evenly distributed. Rolling onto my side, I did notice that the pillow had flattened a little bit, so I gave it some hearty fluffs and brought it back to life. Once it was ready to go, I nestled into the lateral position with one arm beneath the underside of the pillow. With that arm, I sort of bunched up the loft a bit so I could get the right level of support. I felt totally comfortable and supported in the supine position, but when it comes to side sleeping, I definitely prefer a little more lofty firmness. I tried sleeping on my side without my arm providing that extra lift, and it felt a little too flat for me. When I’m sleeping on my side, I always have my arm under the pillow anyway, so it wasn’t a big inconvenience for me to supplement the loft in that way. 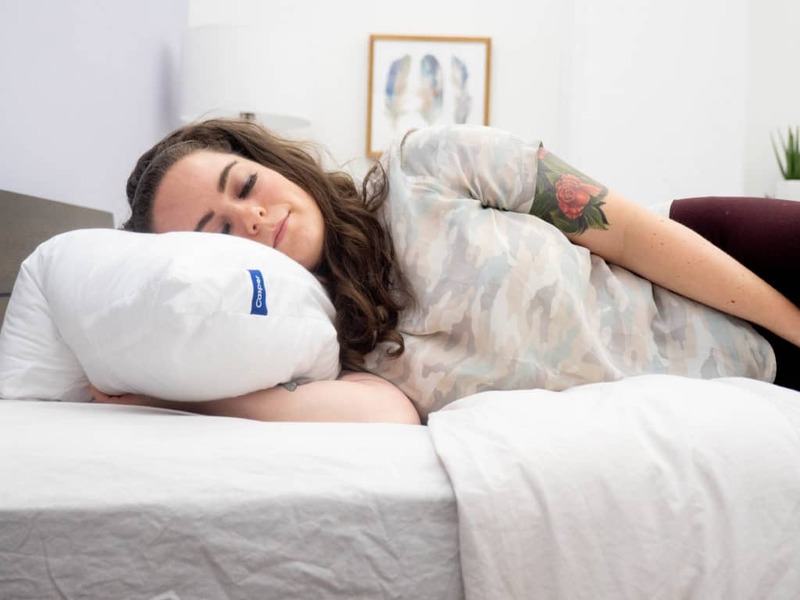 However, sleepers who like to be able to just lie on their sides with their arms beside them might find that their posture becomes a little off kilter when using this pillow. Ultimately, I was able to find a comfortable position on my side (with my arm under the pillow) and I was pleased with how cool and airy it felt despite all my moving around. The air seemed to be flowing freely through the cover fabric, and cotton maintained a soft coolness to it. So, I shifted into the prone position to see if this really is an all-position pillow after all. And sure enough, lying on my stomach felt surprisingly cozy! I say I was surprised because at first glance, it does look too lofty for stomach sleeping. But the adaptable nature of the internal fill allowed my head to sink in just enough so that my neck was not elevated in any way. I was even able to reach under and embrace the pillow without adding too much extra loft. Lying on my stomach, I could feel the cool underside of the pillow against my arms, and the silky fibers nestling against my face. That alone was enough to lull me into a deep state of relaxation. 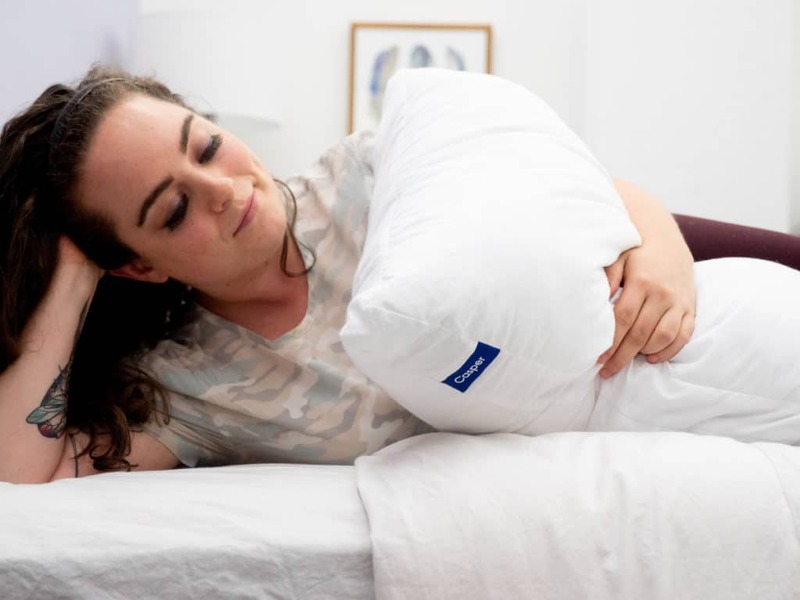 I’m not generally a stomach sleeper, but the Casper pillow could definitely convert me. I never felt like my head was too elevated or that my neck was craned into an uncomfortable position. My head sunk gently into the pillow’s surface, and I felt securely but softly locked in place. I would say, however, that everybody sleeps differently and I could certainly see how this loft might be too high for some stomach sleepers. It is, like I said, pretty easy to flatten and kind of smooth out — but for those of you who like the pillow to be as flat as possible, this one could potentially be too tall. That being said, the inner pillow is removable and much flatter when it’s by itself. If you wanted, you could remove it and just use that when sleeping in the prone position. I found the Casper pillow to be decent for between-the-leg support, but ideal for under-the-arm hugging. Holding the Casper between my legs was good for that unique sort of security I get from this style of sleeping. I enjoyed the feeling of something fluffy to serve as a buffer between my thighs, but I didn’t find that it offered much pressure relief for my lower back. The weight of my leg sunk too far into the pillow, and I didn’t feel like my hips got that supportive prop that I look for. Meanwhile, using the Casper pillow as an under-the-arm-hugger felt very cozy. It’s got that lofty build with an extra fluff factor that, to me, is ideal for this sleep style. It’s airy and easy to pull in close to your body, and it’s not really absorbing my body’s heat either. It’s not so dense that you can’t shape it, but it’s not so thin that it sort of disappears under your arm. Overall, I would definitely classify this as an all-position pillow. I think that this pillow might be best suited to back sleepers, but I was able to find my comfort zone in every sleep style. At the end of the day, every sleeper is different and looks for different things in their bedroom accessories. So, there are a few things about this pillow that some folks might consider to be drawbacks. Not Adjustable — While there is this nice pillow-in-a-pillow design going on here, no part of this pillow is adjustable. So, aside from fluffing it, there’s really no way to manipulate the loft. If you’re someone who really likes to be able to personalize your pillow by adding or removing some of the fill, that’s something to keep in mind. Frequent Fluffing — In my experience testing this pillow, I did find that it would sort of flatten and lose its shape after a while. After some enlivening fluffs, it seemed to restore its form and loft really well, but frequent fluffing was required. SHOULD I TRY THE CASPER PILLOW? Sleeps Hot — The cover fabric feels cool to the touch and is noticeably breathable when you press into it. The percale weave of the cover combined with the silky fibers inside really served to keep me from heating up, and as someone who sleeps hot, that’s a pretty big perk. Combo Sleeps — This is an all-position pillow that adapts pretty well to your body as it shifts between sleep styles. 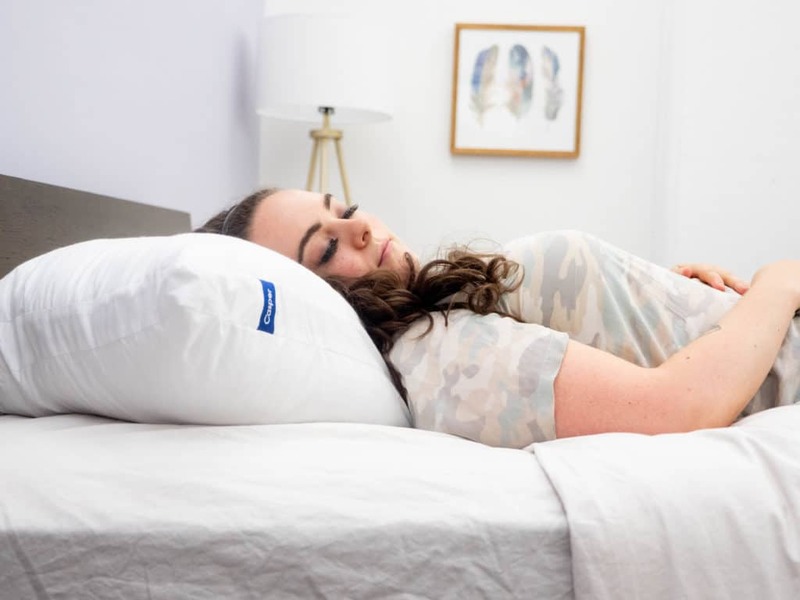 If you’re someone who falls asleep on your back and wakes up on your stomach, the Casper pillow might be a good choice for you! Likes The Fluff — This pillow has a feathery, fluffy feel to it. And the more you fluff it, the loftier it gets! So if you’re more compatible with a light yet plushly supportive pillow, this is probably right up your alley. Casper Pillow Reviews — The Casper Pillow has predominantly positive ratings on Amazon and Reddit! 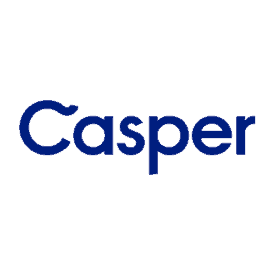 International Orders — Casper currently sells its products in the United States, Canada, Germany, Austria, Switzerland and the United Kingdom. 100 night trial — Casper offers a trial period of 100 nights for both pillows and mattresses. So, you can test this pillow out and if you don’t love it, send it on back for a full refund. Care instructions — You’ll be pleased to know that the Casper pillow is machine washable and dryable. Just unzip the outer pillow, remove the inner pillow, and zip the outer pillow back up. Then, throw both in the washing machine. Wash with warm water and a mild detergent on the gentle cycle (Casper suggests you run the rinse cycle twice). Tumble dry on low heat, and you’re good to go! Sizes — The Casper Standard pillow measures 18” x 26” with a 2 inch gusset, and the Casper King pillow measures 18” x 34” with a 2 inch gusset. Prices — You can find the Casper Standard pillow for about $75 and the Casper King pillow for about $95.